Since IR 1.3 was the only one granted, we will include the answer from GOC here when it is published. NOTE: The Board made decisions on each individual IR or sub-question referred to in the motions to compel. 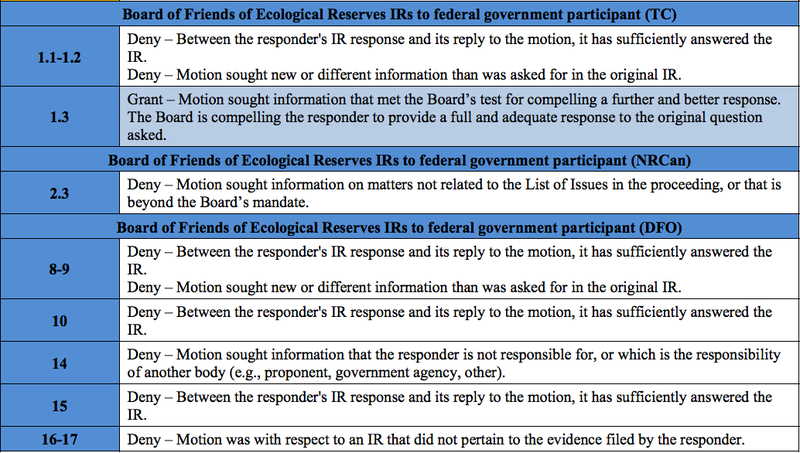 Where sequential IR numbers or sub-questions had identical decisions, these were consolidated into one row indicating the range of IRs or subquestions that the decision applied to, for ease of reference only. This does not indicate that these requests were not considered individually. The reasons identified are identical for each IR or sub-question within that range.